Welcome to our fun engineering summer camp! 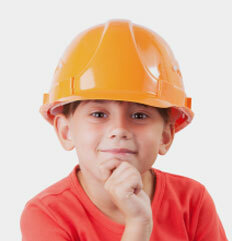 It's designed to help your child fall in love with engineering. Children think engineering is only about calculations and is very unexciting. We're here to tell them that it is not! It's a fun subject that is engaging and challenging. It involves both creativity and scientific application. 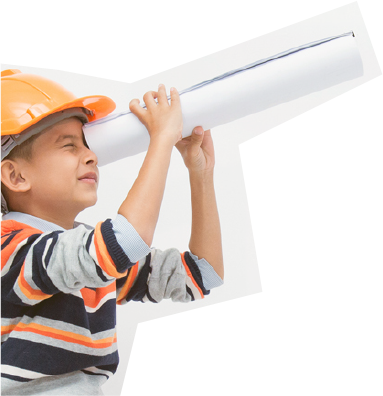 Help your children understand that an engineer is someone who is curious, who loves to explore new ideas and solve problems. An engineer is, in fact, someone just like them! Choose a camp that you think will best suit your child's interest. At the end of the camp, the child will be required to take an online exam. Once the child clears the exam, he/she will be awarded a certificate from CADD Centre. 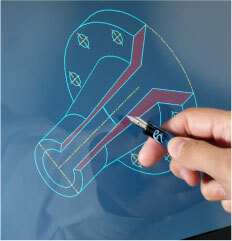 Using AutoCAD, children can see their scribbles transform into impressive 3D drawings just with the click of the mouse. It will be chance for them to explore their creativity and perhaps design an imaginative and innovative new product! It is the perfect course for children who are unclear about what they want to do in future. This will give them clarity of thinking and develop a love for science in them. Children will be introduced to the basics of animation, modeling, environment and more. The coure also aims at making the children comfortable using 3DS Max - the leading animation software. It will help them understand and appreciate the advancements in the field of animation. It will create in them an interest in design, which will help them immensely if they choose to purse an engineering career. 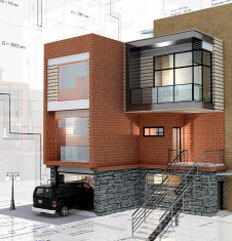 3DS Max is the software for 3D modelling, animation, and visualisation. Children can have a blast experimenting and creating real life models of any object that they can visualize. They will also learn about materials, textures, lights, shadows and more to make a product stunning and realistic. This is indeed a skill that will make them future-ready. 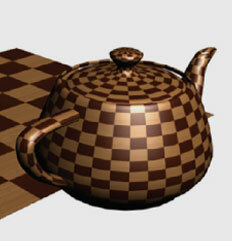 3D modelling is an exciting, stimulating and creative task. 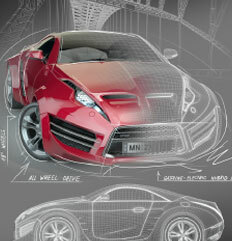 It encourage children to apply their innate design skill using this 3D modelling program. 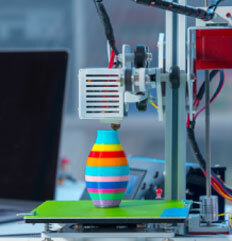 The program helps kids to visualize and create products of their choice in 3D. It develops a deep understanding of the concepts of modeling, drawing, geometries and presentation will truly be the perfect amalgamation of design skills, making the child a budding product modeler. 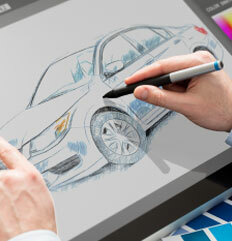 The objective of the Creative Designer program is to help children comprehend what design is. Understanding the design process will help children practice "Design-Thinking". Children will then get to use their new found knowledge to come up with attractive designs like residential building, exterior, interior, furniture or any product of their interest. Children will use a simple, yet trending software tool like SketchUp for learning the creative designs related to Architecture/Building design. 3D Printing always excites kids! It is an easy and effective way of making three dimensional (3D) solid objects. This method is widely used in industries for prototyping. The children will start off by creating their model on the computer using 3D modeling software. The course objective is to provide the necessary training, materials and platform to bring out the child's innate creativity and apply it on simple product development. This fun-packed camp aims at building design thinking and industry level design skills among children. They will learn cool things like product modeling, real-time presentation, quick design and animation, all under the umbrella of one program. Jr. professional certification makes the kids true design thinking kids! This one of its kind knowledge camp aims at inculcating the industry oriented design process and skills in a fun and easy manner. Children will learn cool skills like product modeling, real-time presentation, quick design and animation, and 3D printing all under one program.